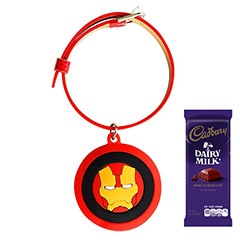 Wanna steal your Canada residing brother’s heart? Well then this is the right thing for you to choose. 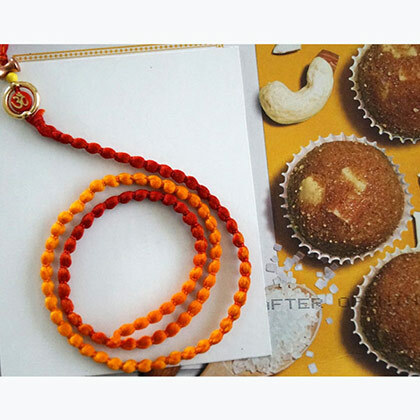 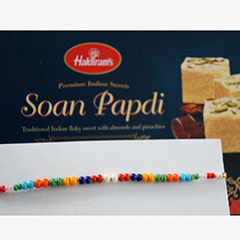 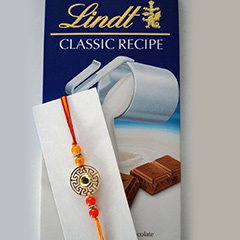 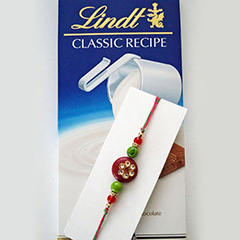 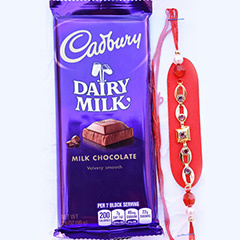 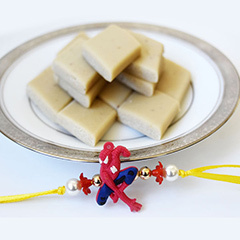 It’s a combo of delectable sweet box with a beautiful and unique Auspicious Om Rakhi that won’t just accentuate his wrist but will also bestow him with divine blessings.